Does Highlights sell gift certificates? We only accept purchase orders through our Group Sales program for schools and other organizations that buy in large quantities. If you have such an order, please visit Highlights.com/GroupSales, email GroupSales@Highlights.com or call 1-614-324-7999. Sales tax is calculated where required by law based on the delivery address and includes any applicable state and local taxes. What happens if my credit card can’t be charged when it’s time for the subscription to be renewed? We will send an invoice for the renewal subscription. My credit card number has changed, can I update you with the new number? Sure! Give Customer Service a call at 888-372-6433 and we’ll be happy to help you update your information. Can I choose the date when the charge will hit my card? This is not a service we are currently able to offer. My child needs the next level of the magazine, but I’m on Continuous Service. What should I do? Give Customer Service a call at 888-372-6433 and they’ll be happy to help you get set up with the appropriate magazine for your gift. My email address has changed. How can I update this? You can do this on highlights.com by clicking on Help in the navigation menu at the top of the page and then clicking My Account. (If you have your account number handy, that will make it easier to locate your account in the system). If you prefer, you can also contact Customer Service by email, chat, or phone from the Help option as. How will I be notified that my account is going to be renewed? You will get an email reminder 30-45 days before your credit card will be charged. Will I still get renewal notices? I am sending gift subscriptions to several children. Will they all be on continuous service? A subscription will be on continuous service if you responded to an offer online. We try to make this information clear on the promotional offer, as well as in the email confirmation you received with your order. Can I be on continuous service and receive an invoice instead of using my credit card? What are the benefits of having my subscription on Continuous Service? It will save you time and money. You won’t get renewal notices, you’ll just get one email each year prior to the subscription renewal. It will ensure that the child who loves Highlights magazines will not miss an issue. 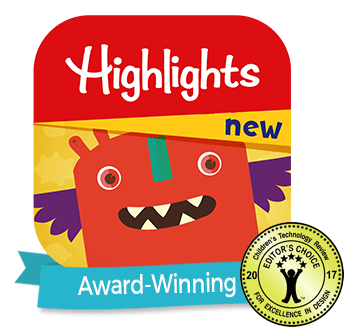 Highlights™, High Five™, Highlights Hello™ and High Five Bilingüe™ magazines can be sent to the U.S. and Canada. However, we can only process merchandise orders and Highlights Book Clubs to be delivered to addresses in the United States (including Hawaii and Alaska) at this time. In the future, we may expand our geographic coverage. We apologize for any inconvenience this may cause. How long will it take for the magazines to arrive? How will the child know the gift is from me? For gift orders, the first issue will have your name on the cover as the purchaser. We also have some printable gift cards online that you can print and personalize for the child. You can see them here. Will I be charged sales tax on my magazine order? Can I send a gift subscription to a child in another country? 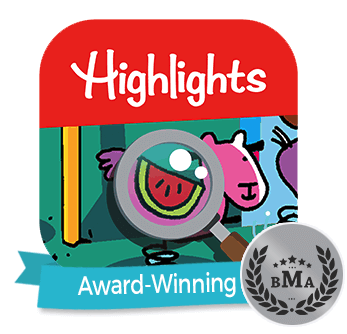 Highlights™, High Five™, High Five Bilingüe, and Hello magazines can be sent to the U.S. and Canada. I ordered a digital subscription. What happens next? You will get a confirmation email with further instructions. If the subscription is a gift, the parents of the child will receive an email (at the email address you provided) asking them to give permission for their email account to be used for the child. After the permission is submitted, you (or the parent) will be guided to set up an account with Zinio, a distributor of digital magazines. If you already have a Zinio account, you can just log in. Zinio is available online at Zinio.com, or by downloading the free app at the App Store or Google Play. The first issue will be available immediately. An email will be sent by Zinio when each subsequent issue becomes available. Within a few hours of purchase, you will get a confirmation email with further instructions. If the subscription is a gift, you should forward the email to the parent or guardian of the child who will receive the magazine. The email will instruct the recipient to download the app from either the App Store or Google Play to their device. It will also provide an account number and ZIP Code to use for authentication within the app. If you purchased an individual issue, it will be available immediately. If you purchased an annual subscription, the welcome issue will be available immediately, and future issues will be available as soon as they are published each month. 2. Open the app, tap the 3-bar menu at the top left of your screen, and then tap "Sign In"
5. 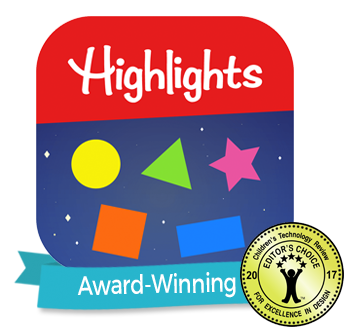 Start enjoying the Fun with a Purpose of Highlights magazine — digitally! Our Customer Service page has an online form you can fill out and submit, a link to live chat, and our phone number. Whichever one you choose, we’ll be glad to help. When can I expect new issues to appear? They should appear around the middle of each month. Zinio will send an email to the parents of the child receiving the subscription to let them know a new issue has arrived. I didn’t receive my digital issue. Now what? Are your digital issues interactive? The offer online included a free gift. Will I still get that if I order a digital subscription? If you also ordered a print version of the magazine, you will receive the free gift. It will be mailed with the first issue of the print magazine. The free gift is part of the Print-Only and Print+Digital subscriptions; it is not offered with the Digital-Only subscription. How early do we begin sending out renewal notices via mail and email to customers? Generally, we begin sending renewal notifications when there are about 6 issues remaining. This can vary depending on the campaign. How can customers renew their subscriptions? If you enrolled in Continuous Service, you don't have to do anything! About a month before your subscription expires, we'll send you a reminder before we charge your credit card for your automatic renewal. Others may mail in their renewal notices, renew online at Highlights.com or contact Customer Service. How many renewal efforts will a customer receive? This will vary by campaign. For example, a donor renewal customer will send 8-9 mailed efforts and around 33 emails. For regular renewals, anywhere from 1 to 9 mailed efforts and 11 email efforts. Do you ship book club shipments internationally? When will my first club shipment arrive? You can expect to receive your first shipment within 2 to 4 weeks. Your credit card will be charged when your first shipment is mailed. If there are any problems or delays, you will be notified. For regular book club shipments within the U.S., the charge is $2.98 per shipment. For delivery to Canada, the charge is $3.98 CDN per shipment. I need my shipments to get here faster! Do you offer expedited options? Standard shipping frequency for clubs is every 3 weeks for the U.S., every 4 weeks for Canada. While we don’t offer expedited shipping, you can log into your online account and make other adjustments to the frequency — U.S. customers can choose between every 3, 6, 9 or 12 weeks and Canadian customers can choose between every 4, 8, or 12 weeks — at any time. We offer Standard Delivery (within 1-2 weeks), USPS Priority Delivery (within 2-3 business days, or Expedited delivery (within 1-2 business days). For further information on Shipping, please see our Shipping & Handling for details. What if an item is temporarily unavailable? Item availability is noted on the website. An item that is temporarily out of stock will be marked backordered. In-stock items ship by Standard Delivery and should arrive within 1 to 2 weeks of order date. How do I cancel or change a Highlights merchandise order? Once a merchandise order is submitted online, we rush it to the warehouse for processing. Once it has been shipped, we are unable to cancel the order. However, if you call us right away after you submit the order, there is a chance we can cancel or change it before it is shipped. To cancel or change your Highlights merchandise order, immediately call the Highlights Customer Service toll-free number 1-888-372-6433, Monday–Friday, 8 a.m. – 6 p.m. Eastern Time. Please phone us with your request. Emailing risks delay. If we are unable to discontinue or change your order and it is processed, you can refuse shipment and the merchandise can be returned to Highlights without charge. Often times a carrier representative will deliver the box to you in person and you can refuse shipment on the spot. To refuse a shipment that has been left, you must not open the box and return it to the same carrier (e.g. UPS, USPS, or others) who brought it to you. While the United States Postal Service does not charge for this, other carriers may charge a fee for returning a package that has been left. 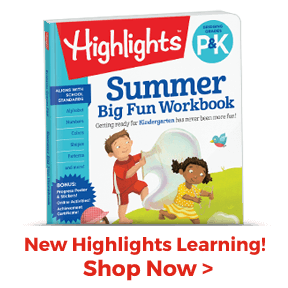 We believe that shopping with Highlights should be a fun and positive experience. If for any reason you're not happy and wish to return an item, please contact our Customer Service Department at 1-888-372-6433 for instructions. For more information on this topic, visit our section on Returns & Exchanges. Highlights has multiple product lines of which our customers are not always aware; we may contact you to let you know about one of our exciting products. Also, we sometimes make our customer names and addresses available to other carefully screened companies whose products we believe might be of interest. Please be assured we do not release children's names. Customers who do not wish to receive such mailings can change their communication preferences using our Communication Preferences form. Does Highlights protect my privacy? It is completely safe to order online from Highlights.com. When we prompt you for credit card information, we encrypt the number for security. This is called Secure Socket Layer. You will notice a lock and key icon in the lower-left hand corner of your browser. The lock closes when you submit the order from our secure shopping cart. If you ordered a magazine subscription, your name will appear on the cover of the first issue, indicating that you purchased the gift. You can also request a gift announcement postcard that we will send to you to personalize to announce your gift. We also have a selection of printable gift cards for magazines and other products. Do you have a retail/outlet store? What are your other important telephone numbers? Customer service is available 8 a.m. to 6 p.m. ET Monday through Friday. Please call 1-888-372-6433 (toll free) or contact us online via email or chat (limited availability).